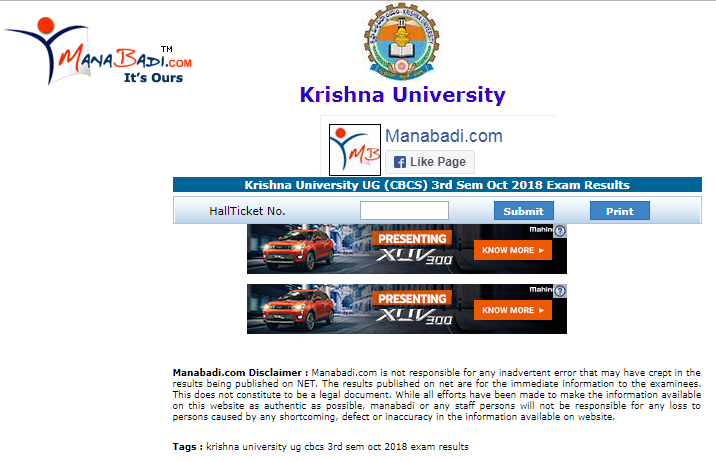 Get your Krishna University results 2019 or KRU Results 2019 at manabadi.co.in. Students who have appeared the KRU Exams 2019 can check KRU Regular Results, Supply Results and Revaluation Results Online. Students can check all KRU UG Results & PG Exam Results @ manabadi.co.in and KRU Official site. The Krishna University (KRU) is releasing the results semester wise like 1st, 2nd, 3rd, 4th, 5th, 6th, 7th & 8th for all UG & PG courses. All these semester results are available at www.manabadi.co.in So candidates who are studying UG / PG/ Pharmacy can check their KRU UG Results & KRU PG Results through this page. Here will keep in update all the yearly & semester examination results of KRU from time to time. Stay connected with this page for further updates. 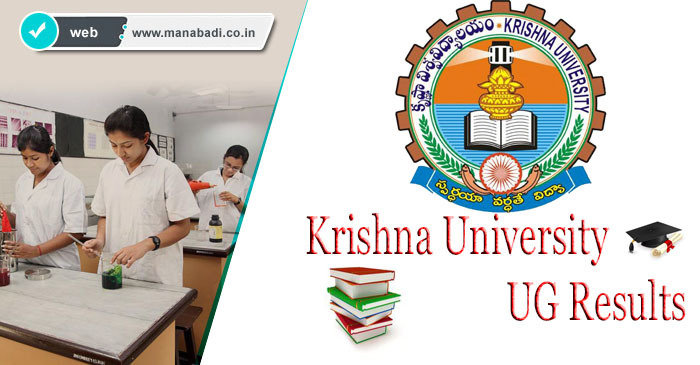 Krishna university is going to announce the UG Degree result 2018 for UG Revaluation degree courses such as B.A, B.com, B.Sc, LLB, BCA, B.Ed, and BBA. It is a responsibility of institute to conduct exams, declare results and give degrees to the students. All those students who have given their exams and are waiting for their results are informed that university is going to announce result for semester exams for a month of December & January after one month of conduction of exams. You can check out your result online as well as offline. For online checking of result you have to visit on our web Portal. By just writing your roll no. in a given box result will be on your screen. It is a responsibility of institute to conduct exams, declare results and give degrees to the students. University is working for a long time to provide a quality education to every student of India. Browse for "KRU Degree Results 2018" Link. Your KRU Degree results are displayed.